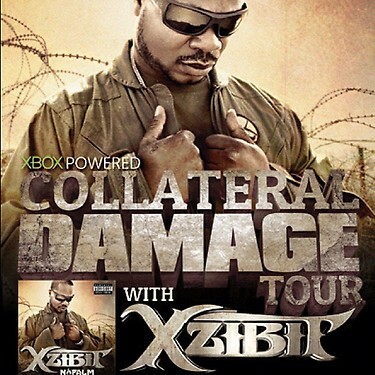 Xzibit has just announced that he will be heading off on another WORLDWIDE tour starting with Canada for the 'Worldwide XBOX Powered Collateral Damage Tour'! The tour will start in November in Canada. Xzibit fans should keep it locked to XzibitCentral.com and we will let you know as soon as the tour dates are locked in via the Xzibit Concert, Tour and Show Dates page on XzibitCentral.com page and follow us on Facebook or Twitter to be notified when the dates are posted. Killed it heavy, last night here in Nanaimo. A full house. I hope Xzibit visits Australia again! I saw him last year and I can’t wait to see him perform Napalm tracks!